Force-Displacement Measurement Unit FSA series | IMADA CO.,LTD. 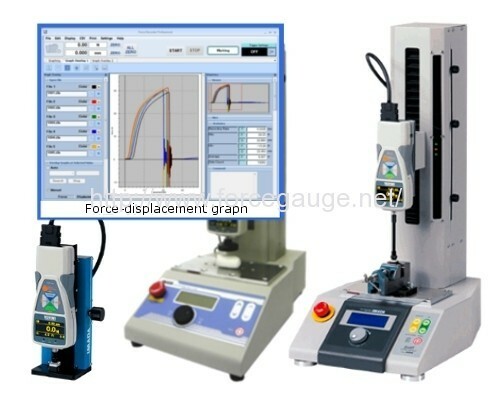 IMADA Force-Displacement Measurement Unit FSA series can be used for tactile test, material evaluation and more. 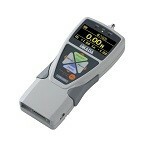 The high speed sampling rate 2000 Hz captures accurate values and draws a detailed graph of force and displacement. 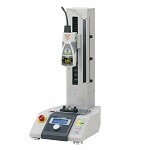 The unit includes a force gauge, a test stand with a linear scale, a cable and a graphing software. The capacity is from 2N to 2500N. You mount the force gauge on the test stand and connect them by the cable. 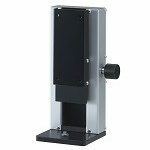 You can perform force-displacement measurement by using with necessary fixtures and connecting external equipment according to your needs. The high speed sampling rate 2000Hz captures accurate values and draws force vs displacement graph in detail. The included software supports your report creation. You can perform zooming a specific area, adding comments, graph layering (up to 5 graphs) and more. Moreover, the created graph can be directly exported as Word, Excel and PDF file. Graph drawing automatically starts and stops at set force/displacement or external signal. 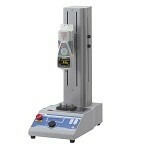 *We also offer custom-made test stands (e.g. for a special long stroke, for installing to a facility, etc). *The cable of FSA-MSL series is directly attached to the test stand. upward and downward (approx. -0.5mm~+0.5mm). *1 Please refer to Model list below. *2”Stroke” means the maximum length from the top of force gauge to the table of test stand. Therefore, stroke varies depending on the force gauge and the attachments combined. * USB memory stick is not included. *1 We cannot assure the perfect prevention against sensor break-down. *2 The value of force control is specified by the absolute value. Accessories Instruction manual, Inspection certificate, Power cable, 2 pcs of spare hues, Driver CD-ROM(including software for data log “ZT-Logger”), Graphing software “Force-Recorder Professional”. *2 Custom made order cable is necessary if the displacement output and the serial or the analogue signal output are needed on the same time. FSA-MSL-__N Portable 50N (5kgf) Manual system. FSA-0.5K2-__N Standard 500N (50kgf) Automatic system. Testing speed, the number of testing, pause time can be chosen. FSA-1KE-__N High performance and functionality 1000N (100kgf) Automatic system. Precise measurement due to high rigidity. In addition to functions of 0.5-2.5K2 series, more functions such as travel set up, 5 running patterns memory, etc. are available. Please choose the most appropriate range for your test from “Range” of “Specifications”. Please select a range below the “Capacity” of the model in the model list.